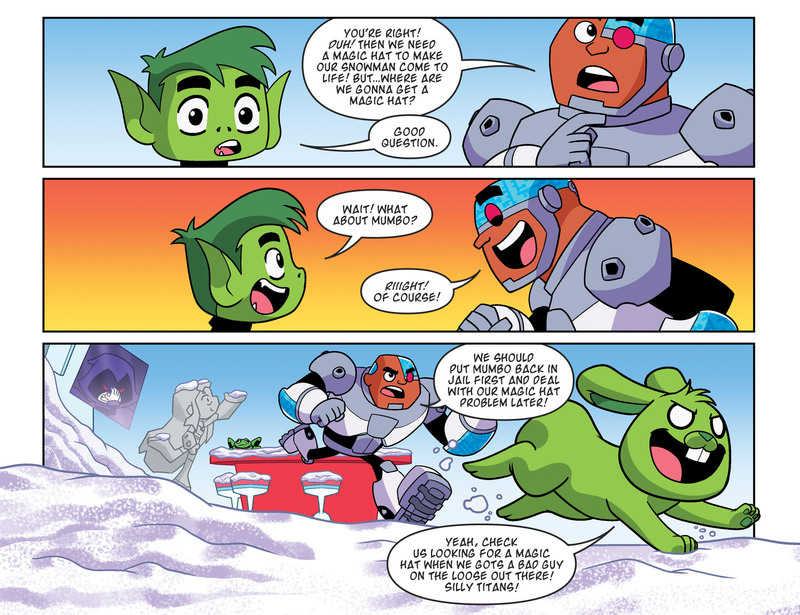 Beast Boy and Cyborg read out of Raven's spellbooks in an attempt to bring a snowman to life. They accidentally turn Starfire to stone instead. Unrelated scene from an Iron Man comic. I don't know the exact issue, but this scan is from the 11th Masterwork collection.